Oxygen limitation is the primary stress that plants experience in flooded soils. About 20 million acres of corn and soybeans were inundated, leading to heavy economic losses, during 1993 flooding in the Mid-Western United States. The research in my laboratory involves the analysis of the anaerobic-stress response in Zea mays (maize, corn). The anaerobic response is most likely a plant's natural reaction to flooding. Anaerobic treatment dramatically alters the pattern of gene expression in maize seedlings. During anaerobiosis there is an immediate repression of normal 'aerobic' protein synthesis and the simultaneous selective synthesis of four polypeptides with a MW of ~33 kDa (the transition polypeptides). After 90 min, this is followed by specific transcription and mRNA accumulation as well as the selective synthesis of approximately twenty anaerobic-specific proteins. Among these anaerobic proteins (ANPs) are enzymes involved in glycolysis and related processes, such as alcohol dehydrogenase (ADH), aldolase, enolase, glucose phosphate isomerase, glyceraldehyde-3-phosphate dehydrogenase, pyruvate decarboxylase, and sucrose synthase. However, we also found two inducible genes that have different functions. One that has homology to xyloglucan endotransglycosylase may be involved in aerenchyma (cortical air space) formation during flooding (allowing transport of oxygen from the leaves to the submerged, oxygen deprived, roots of a plant). My laboratory has been analyzing the anaerobic response and flooding tolerance in maize using a combination of molecular, biochemical and genetic approaches. Our studies include the characterization of anaerobically inducible genes, the identification of genes that confer increased flooding (anaerobic) tolerance in maize, and analysis of the signal transduction events that are involved in perception of oxygen deprivation and lead to the anaerobic response. Research in my laboratory is presently expanding to include the molecular-genetic analysis of several maize mutant alleles that are in stocks at the Maize Genetics Cooperation • Stock Center. Research studies here include analysis of starch biosynthesis mutants that were isolated using the Mutator transposable element system. Studies of reverse germ orientation mutants, analysis of nuclear male sterility mutants, and characterization of a mutable allele of a novel viviparous locus. Sachs, M.M. (1993). Molecular genetic basis of metabolic adaptation to anoxia in maize and its possible utility for improving tolerance of crops to soil waterlogging. In: NATO ASI Series, Vol. I 16: Interacting Stresses on Plants in a Changing Environment, eds. M.B. Jackson and C.R. Black, pp 375-393. Springer-Verlag, Berlin. Sachs, M.M. (1994) Gene expression during anoxia. In: Stress Induced Gene Expression in Plants. Pp 87-102. ed. A.S. Basra, Harwood Academic Publishers, Chur, Switzerland. Peschke, V.M. and M.M. Sachs (1994) Characterization and expression of transcripts induced by oxygen deprivation in maize (Zea mays L.). Plant Physiol. 104: 387-394. Subbaiah, C.C., J.K. Zhang, and M.M. Sachs (1994) Involvement of intracellular calcium in anaerobic gene expression and survival of maize seedlings. Plant Physiol. 105: 369-376. Subbaiah, C.C., D.S. Bush, and M.M. Sachs (1994) Elevation of cytosolic calcium precedes anoxic gene expression in maize suspension cultured cells. Plant Cell 6: 1747-1762. Zeng, Z.-M., and M.M. Sachs (1994) Intragenic recombination among alleles of the adh1 gene in maize. Maydica 39: 265-272. Zeng, Z.-M., and M.M. Sachs (1995) Restriction site variation and allelic phylogeny at the adh1 locus and its comparison to phylogeny deduced from morphological variation in maize. Maydica 40: 43-66. Sachs, M.M., C.C. Subbaiah, and I.N. Saab (1996) Anaerobic gene expression and flooding tolerance in maize. J. Exp. Bot. 47: 1-15. Saab, I.N. and M.M. Sachs (1996) A flooding-induced xyloglucan endo-transglycosylase homolog in maize is responsive to ethylene and associated with aerenchyma. Plant. Physiol. 112: 385-391. Manjunath, S. and M.M. Sachs (1997) Molecular characterization and promoter analysis of the maize cytosolic glyceraldehyde 3-phosphate dehydrogenase gene family and its expression during anoxia. Plant Molec. Biol. 33: 97-112. Maluf, M.P., I.N. Saab, E.T. Wurtzel and M.M. Sachs (1997) The viviparous12 maize mutant is deficient in abscisic acid, carotenoids, and chlorophyll synthesis. J. Exp. Bot. 48: 1259-1268. Subbaiah, C.C., D.S. Bush, and M.M. Sachs (1998) Mitochondrial contribution to the anoxic Ca2+ signal in maize suspension-cultured cells. Plant Physiol. (1998) 118: 759-771. Lal, S.K., C. Lee, and M.M. Sachs (1998) Differential regulation of enolase during anaerobiosis in maize. Plant Physiol. 118: 1285-1293. Subbaiah, C. C. Kollipara, K. and Sachs, M. M. (2000) A Ca2+-dependent cysteine protease is associated with anoxia-induced root tip death in maize. J. Exp. Bot. 51: 721-730. Subbaiah, C. C. and Sachs, M. M. (2000) Maize cap1 Encodes a novel SERCA-type calcium ATPase with a calmodulin-binding domain. J. Biol. Chem. 275: 21678-21687. Subbaiah, C. C. and Sachs, M. M. (2001) Altered patterns of sucrose synthase phosphorylation and localization precede callose induction and root tip death in anoxic maize seedlings. Plant Physiol. 125: 585-594. Stinard P. S. and Sachs M. M. (2002) The identification and characterization of two dominant r1 haplotype-specific inhibitors of aleurone color in Zea mays. J. Hered. 93: 421-428. Subbaiah C.C. and Sachs M.M. (2003) Molecular and cellular adaptations of maize to flooding stress. Ann Bot 2003 91: 119-127. Subbaiah C.C. and Sachs M.M. (2003) Calcium-mediated responses of maize to oxygen deprivation. Rus J. Plant Physiol. 50: 752-761. Stinard P. S. and Sachs M. M. (2005) Spotting factor (Spf) from the Spotted-dilute system in maize is a member of the En/Spm controlling element family. J. Hered. 96: 582-585. Sachs, M.M. 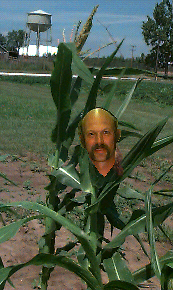 (2005) Maize mutants: Resources for research. Maydica 50: 305-309. Jaiswal P., Avraham S., Ilic K., Kellogg E.A., Mccouch S., Pujar A., Reiser L., Rhee S.Y., Sachs M.M., Schaeffer M.L., Stein L., Stevens P., Vincent L., Ware D., Zapata F. (2005) Plant ontology (po): a controlled vocabulary of plant structures and growth stages. Comparative and Functional Genomics. 6: 388-397. Subbaiah C.C., Palaniappan A., Duncan K., Rhoads D.M., Huber S.C. and Sachs M.M. (2006) Mitochondrial localization and putative signaling function of sucrose synthase in maize. J Biol Chem 281: 15625-15635. Pujar A., Jaiswal P., Kellogg E., Ilic K., Vincent L., Avraham S., Stevens P., Zapata F., Reiser L., Rhee S., Sachs M.M., Schaeffer M.L., Stein L., Ware D., McCouch S. (2006) Whole-plant growth stage ontology for angiosperms and its application in plant biology. Plant Physiology. 142: 414-428. Ilic K., Kellogg E.A., Jaiswal P., Zapata F., Stevens P.F., Vincent L.P., Avraham S., Reiser L., Pujar A., Sachs M.M., Whitman N.T., Mccouch S.R., Schaeffer M.L., Ware D., Stein L.D., Rhee S.Y. (2006) Plant structure ontology. Unified vocabulary of anatomy and morphology of a flowering plant. Plant Physiology 143: 587-599. Avraham S., Tung C., Jaiswal P., Ilic K., Kellogg E., Mccouch S., Pujar A., Reiser L., Rhee S., Sachs M.M., Schaeffer M.L., Stein L., Stevens P., Vincent L., Zapata F., Ware D. (2007) The plant ontology database: A community resource for plant structure and developmental stages controlled vocabulary and annotations. Nucleic Acids Research 36: Database issue D449-D454. Sachs M.M. and Vartapetian B.B. (2007) Plant anaerobic stress I. Metabolic adaptation to oxygen deficiency. Plant Stress 1: 123-135. Vartapetian B.B., Sachs M.M. and Fagerstedt K.V. (2008) Plant anaerobic stress II. Strategy of avoidance of anaerobiosis and other aspects of plant life under hypoxia and anoxia. Plant Stress. 2: 1-19. Subbaiah C.C. and Sachs M.M. (2009) Responses to oxygen deprivation and potential for enhanced flooding tolerance in maize. In: Bennetzen JL and Hake SC (eds) Handbook of Maize: Its Biology. Springer New York, pp 345-365. Sachs M.M. 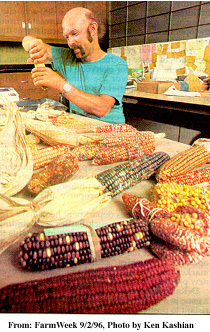 (2009) Maize genetic resources. In: AL Kriz, BA Larkins, eds, Biotechnology in Agriculture and Forestry. Molecular Genetic Approaches to Maize Improvement, Vol 63. Springer-Verlag, Berlin, pp 197-209. Sachs, M.M. (2009) Cereal germplasm resources. Plant Physiol. 149: 148-151. Stinard P.S., Kermicle J.L. and Sachs M. M. (2009) The maize enr system of r1 haplotype-specific aleurone color enhancement factors. J. Heredity 100: 217-228.